The three (or four) band EQ on a typical DJ mixer is an often-abused, but extremely useful tool in the mix DJ’s arsenal. The concept is fairly simple, but mastering using the EQ can be a little more tricky. It can mean the difference between smooth layering of multiple tracks, and a muddled mess of confusion. Many DJs these days don’t focus too much on really getting involved with their EQing, because it’s true that you can put together a decent mix without even using it. Some DJs like to mix “flat”, by simply beatmatching two records and sliding a crossfader between them without even touching the EQ knobs. But, since you probably wouldn’t be on a website called “PassionateDJ.com” if you were happy with the bare minimums, let’s take a more comprehensive look at EQing and how we can use it effectively. 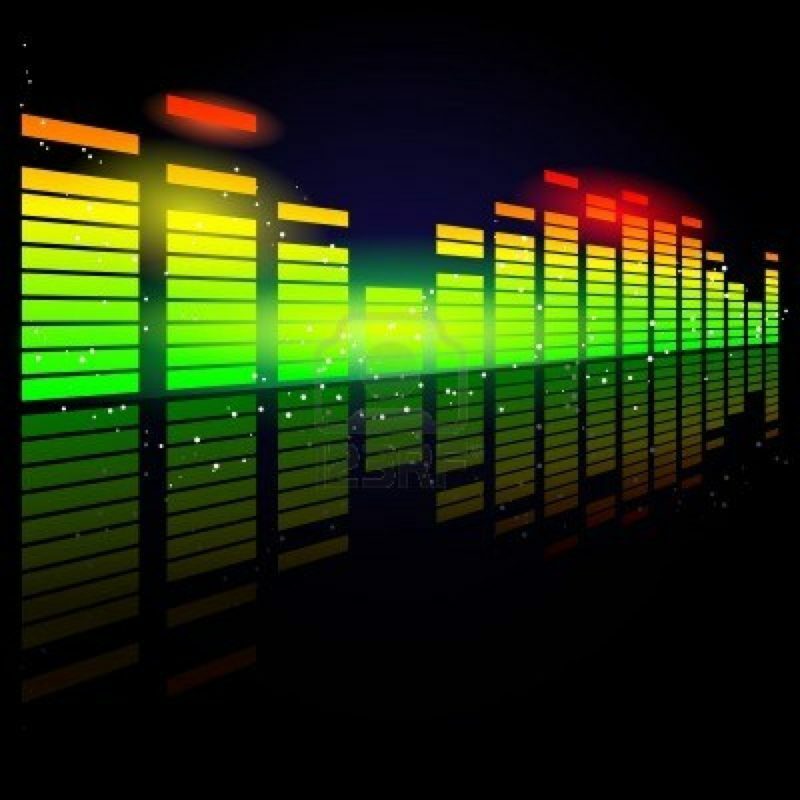 An equalizer is simply a volume control which only affects certain frequencies. Let’s consider the below screenshot, which is a visual representation of a kick drum. This screenshot essentially represents the entire audible spectrum of sound. You’ll notice that even though we’re only playing a kick drum (a notably “bassy” instrument), the sound seems to play throughout quite a broad range of frequencies. That’s simply because a typical kick drum, while primarily using “bass” frequencies, doesn’t use them exclusively. There are high frequencies in a kick drum, too (usually). I should point out that in the screenshots in this article, the frequencies are scaled on a “slope”… so the higher frequencies are exaggerated. This is done by default in this program because of the way human hearing works. Our ears tend to hear low frequencies more quietly, which means that bass sounds are inherently exaggerated in recorded audio so that we can hear them properly. This is why bass sounds take up the most room when it comes to mixing (well, that’s the quick-and-dirty explanation, anyway). Take note of the overall volume meter on the right-hand side of the window, under the Settings menu. 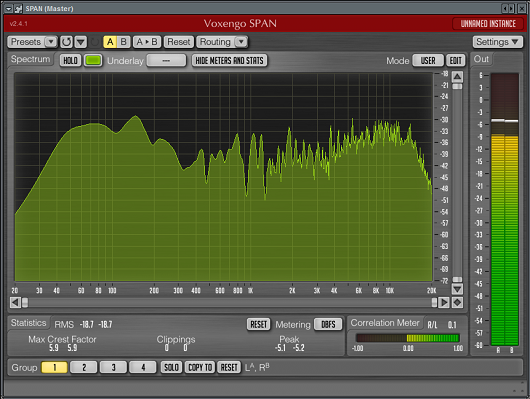 The white bars on the meter are approximately where the sound is peaking as the kick drum repeats. Notice that the audio spectrum in the mid and high frequencies “filled out” a little. The overall volume has gone up a bit, too. If we take the kick drum out entirely, we free up quite a bit of space as seen below. This is probably just a visual confirmation of what you already know– that bass frequencies will muddy-up a mix quite easily. The primary reason that we must control certain frequencies using an equalizer is to make room for layering tracks on top of each other in order to prevent clipping, which simply means to distort the sound by pushing it too hard. There’s only so much “room” in the audio spectrum, so if you push it too hard, something has to give. Image by David Bately, shared under Creative Commons license. If you play the exact same frequency on top of itself, the volume of that frequency rises. If that happens too much, clipping/distortion can occur. 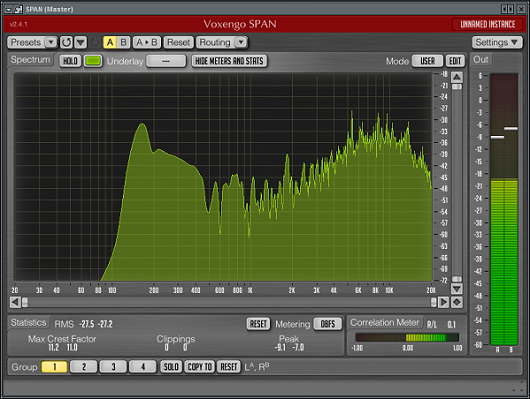 Equalizers can be used to “slice out” certain frequencies in order to mesh two tracks together like a puzzle. It is the art (or science, or whatever you want to call it) of allowing individual sounds to breathe so that each element has it’s own chance to shine and be heard. I put the word “Best” in quotations, because there are no hard and fast rules for equalization. If it sounds good, it is good. However, there are some general guidelines that might be useful to keep in mind. The only one I would consider to be a real rule is one that is related to EQing, but not limited to it: stay out of the red! Also, stay out of the red. And if you can help it, stay out of the red. Another thing to keep in mind is that the EQ is simply a set of volume knobs. They are not “make it sound better” knobs. Many times, I’ve witnessed DJs set each of the EQs up a bit (the same amount). This is effectively just increasing the volume of the track… you’d do well to simply use the gain/trim knob for this. Many people will tell you that it is always better to cut EQ than to boost. I keep that as a general guideline personally, but not a hard rule. Normally when I’m mixing, my goal is to have the track eventually playing with the EQ “flat” at 0dB (12 O’Clock position). However, the whole idea is to make everything flow smoothly, and if you play a track with a little less low-end “oomph” than the previous one, it won’t go unnoticed. 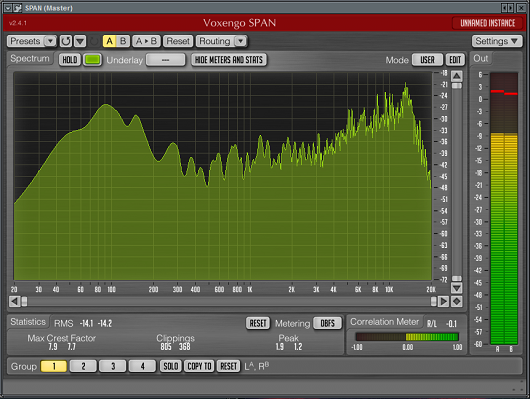 I’ll occasionally give a slight EQ nudge here or there if it helps two tracks match up more smoothly. For example, I have some old funk records from the 70s and 80s that were mixed and mastered much differently compared to modern music. If I want to play them alongside each other without killing the energy, I need to do whatever it takes to make sure the transition isn’t jarring. Equalizers operate within a specific “band” of the audio spectrum… each knob represents low, mid, and high. 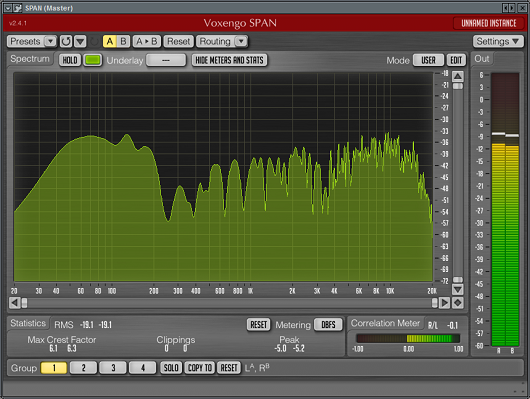 An EQ’s area of effect, if visualized, is shaped like a hill or mound. Filters sweep across the entire audio spectrum. It’s a kind of dead cut-off for everything above (hi-pass), below (low-pass), or “within” (bandpass) the frequency setting on the single filter knob. If visualized, a filter’s area of effect would be shaped like a cliff. Most EQs are designed to operate in a fairly “flat” matter. They all have different ramps depending on the design, but they are designed as tools. They are meant to sound fairly transparent. Filters, on the other hand, often have a certain character about them that can be used expressively. Amongst other things, resonance and the steepness of the filter have an effect on it’s sound. This sound can be so desirable, that there’s an entire genre of music dedicated to it! Mixing with EQs give you the benefit of greater control, at the expense of the smooth sweep and artistic flair of a filter. Filters are not typically designed to boost frequencies (though this does sometimes naturally happen as an effect of the filter’s resonance). The filter will operate on the post-EQ signal. So why use a filter instead of an EQ (or vice-versa)? Aside from the fact that filters can be used as an effect in themselves, they can be useful tools as well. Personally, I’ve found filters to be very useful in situations where I want to lead into a track which is a bit off-key of the current song. I can introduce just the very tip-top of the audio spectrum and get some of those hats playing, or just a touch of the incoming vocals, without sounding like it’s clashing. Filters seem to be very forgiving when it comes to this, but that’s not to say that you couldn’t do something similar with an EQ. Also, introducing a song via a filter sweep can flat-out just sound cool. It can add a bit of “flavor” to an adjustment rather than simply fading it out. I often will filter a song out if a DJ following me is starting at a much different BPM or style than my own (and I always try to ask, so that I can help set them up. It’s only polite!) It makes it feel like something intentional is happening, rather than just ending my set and starting his/hers. Additionally, I mention in the list above that the filter operates on the post-EQ signal. So, when you adjust your EQs, the EQ’ed track is sent through the filter and then to the master output. So, it’s possible to set your EQs to match up two songs in your headphones so that they blend well, then filter the already adjusted track in during your transition. This can be quite useful, and keeps you from having to find the EQ “sweet spots” on the fly! I’d like to wrap up with this thought. At a high level, the EQ serves two primary functions: to control volume (in specific bands) in order to prevent distortion, and to maintain clarity and identity in individual sounds. Use it to correct problems with your mix. Don’t use it to drive the house speakers harder… this is the job of the final mixing board at the amplifier side of things. Sending a distorted signal to the house is not a professional approach. The EQ and the filter (if you have one) can be used creatively as well. I love doing things like cutting the bass drum of a breakbeat in to my mix after playing four-t0-the-floor tracks for a while. Sometimes, just cutting a different bass drum in (even if it’s playing on the same beat as your current track) can be fun. And keeping a filtered or EQ’ed loop running for a while with a very pronounced open hi-hat can help maintain energy when there’s a song I want to play, but it just doesn’t have that same upper-end “oomph”. The possibilities are endless. When it comes to EQ, think about why you’re going to make a certain adjustment. Mix with intent, and have yourself a good time!